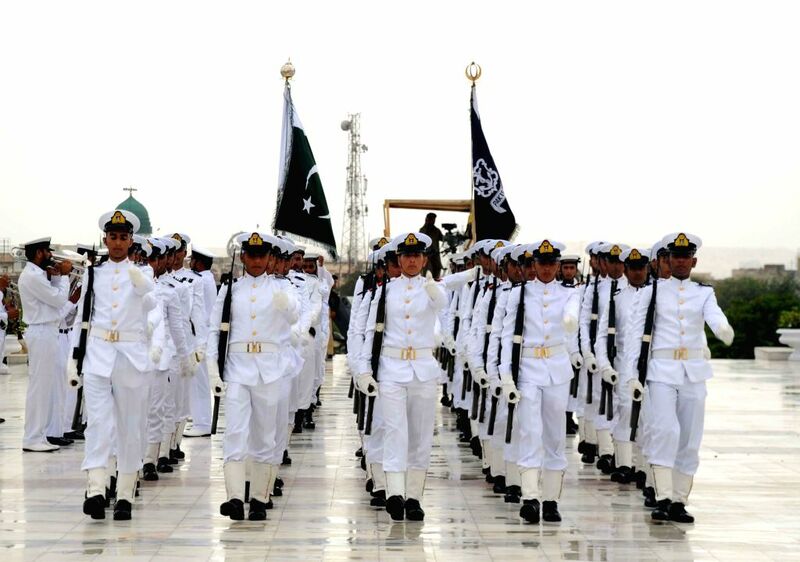 KARACHI, Aug. 14, 2014 - Pakistani Navy cadets march at the mausoleum of the founder of Pakistan Muhammad Ali Jinnah during a ceremony to mark Pakistan's Independence Day in southern Pakistani port city of Karachi, Aug. 14, 2014. 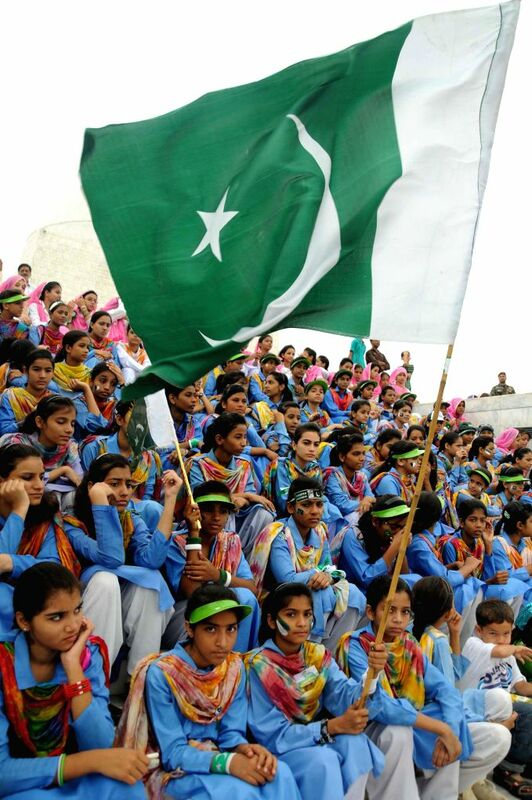 Pakistan got independence from the British colonial rule on August 14, 1947. Muhammad Ali Jinnah had led the Muslims of sub-continent to secure a separate country for the Muslims. 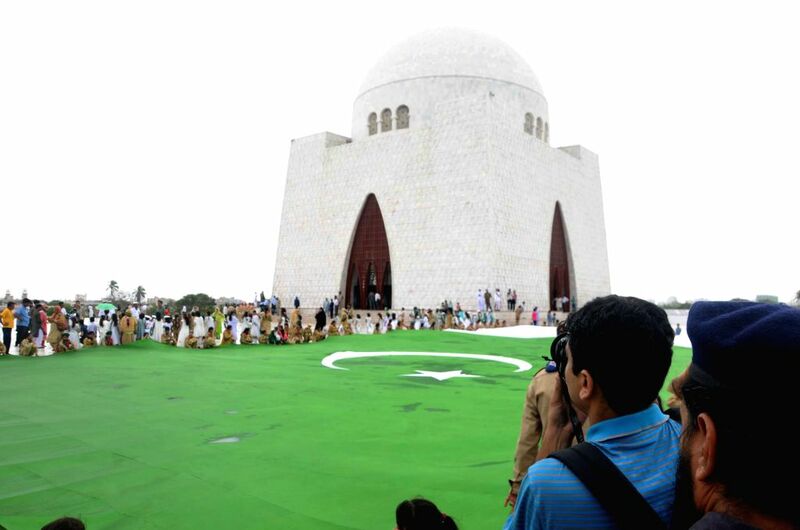 Pakistanis hold a giant national flag at the mausoleum of the founder of Pakistan Muhammad Ali Jinnah during a ceremony to mark Pakistan's Independence Day in southern Pakistani port city of Karachi, Aug. 14, 2014. 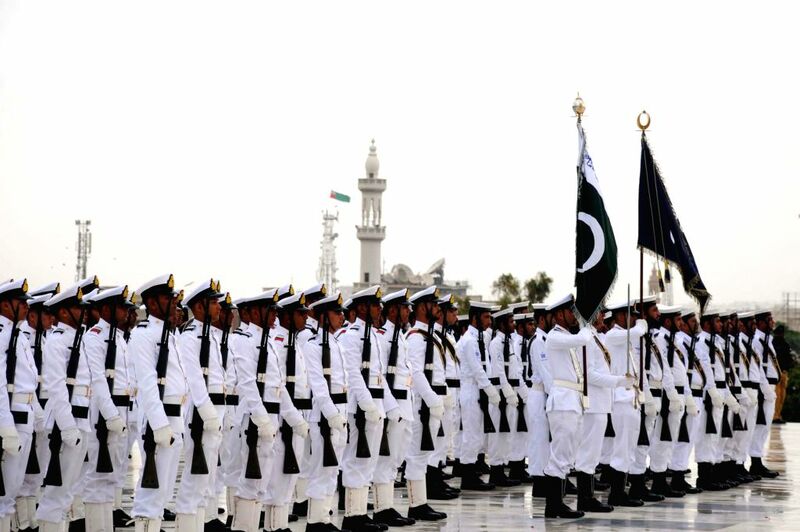 Pakistani students attend a ceremony to mark Pakistan's Independence Day at the mausoleum of the founder of Pakistan Muhammad Ali Jinnah in southern Pakistani port city of Karachi, Aug. 14, 2014.